暴露限值 No exposure limit is set. On the basis of its irritant properties a ceiling limit of 1.2 mg/m3 (0.3 ppm) is recommended. 稳定性 Stable, but may explode if heated under confinement. Decomposition may be accelerated by traces of metals, molecular sieve or other contaminants. Incompatible with reducing agents, combustible material, acids. 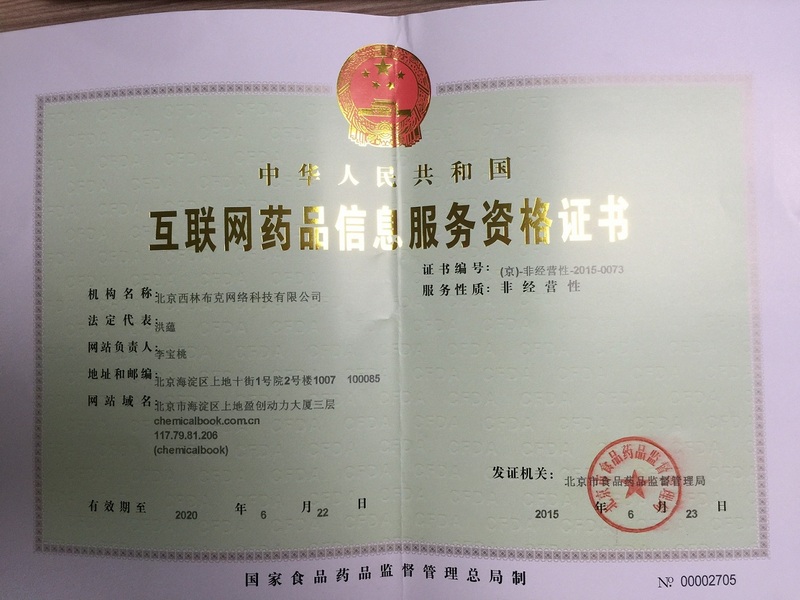 2017/06/05 A13926 过氧化叔丁醇, 70% aq. soln.